I wanted new countertops but couldn’t afford it. Artistic Refinishing made my dreams come true. Our company is here to offer you an affordable solution for all of your kitchen countertop refinishing needs. We can provide you with various options to choose from such as color change, material change, and other subtle but impacting choices. Why waste your hard earned money on a complete gut and redo when you can just update the existing countertops and cabinets at a fraction of the cost. We guarantee that once completed you will have the look and feel of a fresh new kitchen but will remain in the budget that was originally quoted. 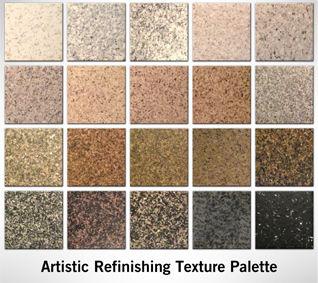 You can choose from different colors and our popular finishes such as the granite, stone and even marble or glass. Once they have been updated it will look as though you have a brand new kitchen making you the envy of the neighborhood. With all of the options available through us, we will find the right style for your needs and have the job completed within a timely manner. 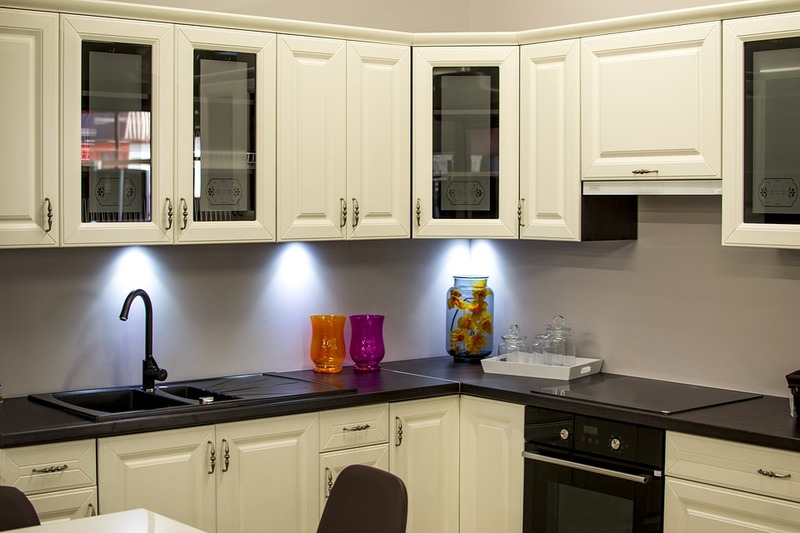 We can ensure that your current kitchen cabinets will be refinished professionally with a smooth, durable finish that will be easy to care for and can be done in any color that you desire. In addition to solid colors, we offer a shadowing effect done by the hand-applied glaze that we put over the paint. This will offer an enhanced accent of a reverse panel or raised panel kitchen cabinet design. The sole purpose of a countertop refinish is to help brighten up the kitchen and breathe life back into within a budget that you can afford. We can help to put together different options for you to choose from including cabinets in addition to the countertops. Our staff has over 30 years of experience, tons of happy customers and the determination to help all those located in and around the Boca Raton with all of their kitchen countertop refinishing needs. The cost of the repairs and changes will vary from one person to another with many different factors play a part in it but we have something for just about everyone. Contact us today and let us help bring your dream kitchen to life with our tried and true professionals who have been providing this amazing service to the Boynton Beach area for the last few years. There is no cost for a quote and you can review some of our previous work and check with reviews to ensure that you are choosing the right company for yourself. Once we have completed the painting and refinishing we will apply glazed coat to give it that shiny appeal but will be durable enough to stand up normal wear and tear for years to come.